Construction is among the most dangerous industries; according to the Occupational Safety & Health Administration (OSHA), 796 construction workers died in 2013 – comprising approximately 18% of all work-related fatalities. At Paulson & Nace, PLLC, we are familiar with the complex laws governing the construction industry as well as the rules and regulations set forth by OSHA to ensure a safe working environment. If you or your loved one sustained a work-related injury, our team of skilled trial attorneys has the experience and resources you want on your side. Falls from high places. Ladders, scaffolding and roofs all present dangers to construction workers. Falls are among the leading causes of death in the industry, and improperly secured equipment, or defective safety equipment, can lead to serious injuries. Heavy machinery accidents. Forklifts, cranes, backhoes and welding machinery must be handled with care. A defective or faulty machine or a negligent co-worker can cause the machine to tip over, crushing a worker. Electrical hazards. Workers run the risk of serious electric shocks or electrocution if power lines are left unattended, or if there are no ground-fault circuit interrupters. Trench and excavation accidents. Workers ordered into trenches alone, or who are not given the proper high-visibility clothing, can find themselves in trouble. Trenches can cave in, or materials could be dumped into the trench on top of the worker. Unsafe walkways. It is easy for a construction site to become littered with debris and machinery. Sites without safe pathways increase a person’s odds of tripping, slipping and falling. Hazardous materials. Construction workers and miners alike may be exposed to dangerous or toxic materials. Every worker should have access to safety gear to protect them from such hazards, including safety goggles or gloves. Inadequate lighting. For workers who are deep in the mine or construction workers who perform roadwork at night, proper lighting is key to avoiding hazards. Inadequate lighting can lead to trips and falls, and can increase the dangers of roadside workers by decreasing their visibility to passing cars. Many of these accidents may be avoided if workers are given the correct safety equipment, provided that equipment is in working order. Safety glasses, hard hats and high-visibility vests are among the most important pieces of safety gear a worker can have. Site overseers and managers should be certain that all safety perimeters and equipment – such as guardrails, handrails and clean-up kits for spilled hazardous materials – are in good working condition and readily available. Construction companies are also responsible for properly and thoroughly training their workers. Certain construction vehicles require different licensing requirements, and all workers in all industries should be tested regularly to ensure they know how to perform their jobs correctly and under different types of weather conditions. A wet stairway can be just as deadly as an open power line, and workers should be trained to look for signs of danger. Manual labor is difficult; choosing the right lawyer for your needs does not have to be. 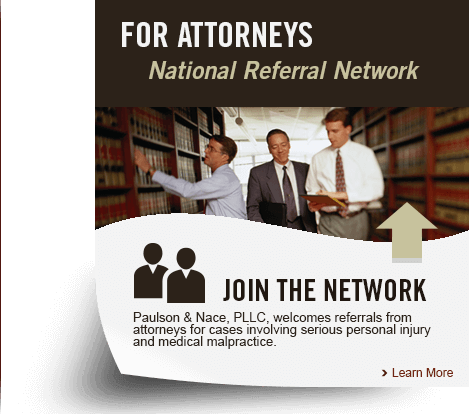 Our family is proud to serve your family when you or your loved one has suffered a serious personal injury. If you live in Washington, D.C., or West Virginia, we want to hear your story. Please call 202-930-0292 or fill out our contact form to schedule a consultation.